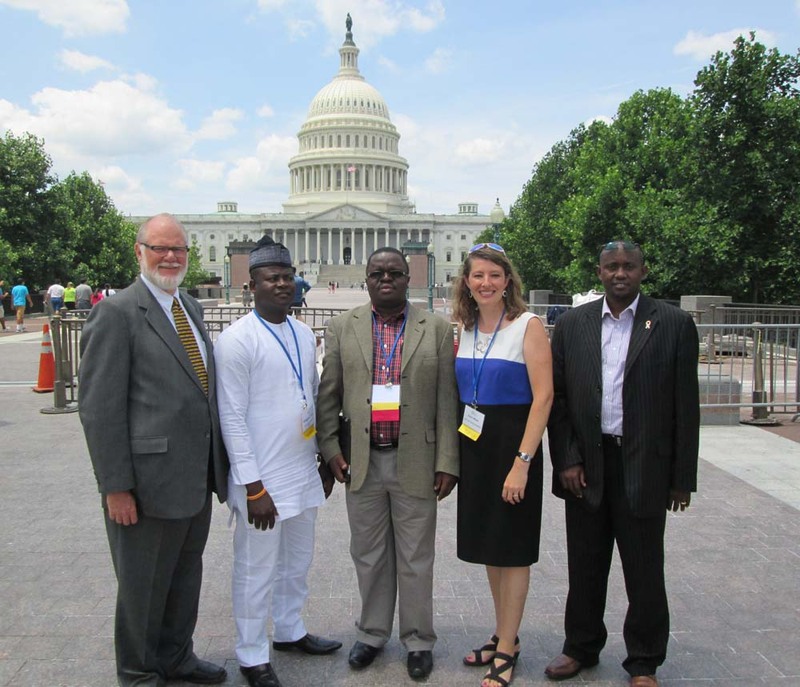 On June 23, 2014, nearly 40 global health ambassadors from across the globe set out to bring key messages to U.S. legislators about U.S. foreign assistance and the impact of Christians working in global health. 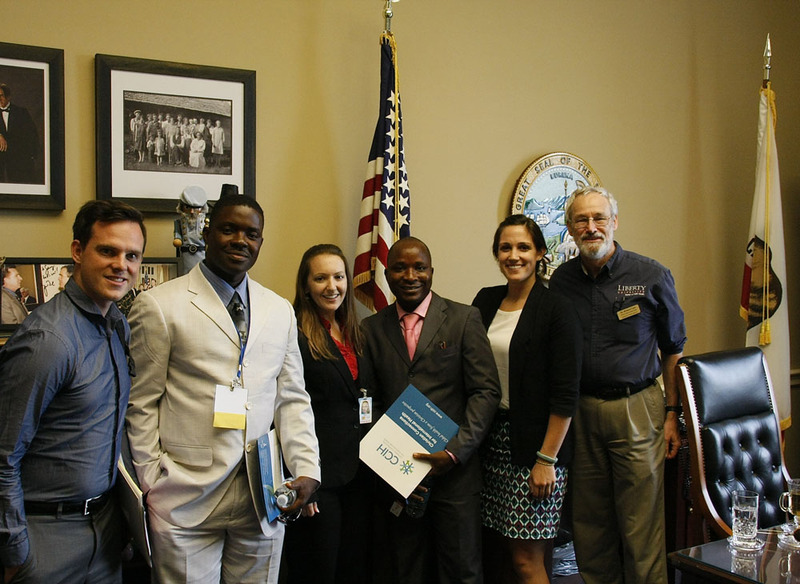 The 39 advocates were participating in CCIH’s Annual Advocacy Day and represented 10 U.S. states and nine countries, including the United States, Liberia, Nigeria, Malawi, Niger, Rwanda, the Democratic Republic of Congo, Nepal and South Sudan. The advocates were divided into small groups and visited 26 Capitol Hill offices, including the offices of 19 Republicans and seven Democrats. They shared their personal stories of the positive impacts of U.S. foreign assistance and the support among Christians for international family planning for improved maternal and child health, sharing fact sheets and an infographic on why Christian values support family planning. They also expressed support for the work of Gavi, the Vaccine Alliance and shared material on how vaccines have saved the lives of millions of children and are one of the most cost effective investments we can make in global health. Richard Lane, far right, with the team visiting offices from Virginia and California. During my 30 years as a public health physician I have written letters and made phone calls to advocate for the health of others, but I had never personally visited Capitol Hill. When I learned that CCIH Advocacy Day included speaking to legislative staff members in support of appropriation for global vaccine supply and distribution, I knew I needed to be involved. Universal access to immunizations has been a passion of mine and I was eager to have the privilege to speak on behalf of children in need of the protection vaccines offer. I shared the Advocacy Day experience with a team comprised of a seasoned advocate, students, visitors from Liberia, and other fellow conferees. We were able to visit six congressional offices. We found staffers willing to hear our concerns and opinions. Some were already knowledgeable about vaccines and other global health concerns. Those who were not, were willing to listen. Meeting these individuals put a face on the legislative process. It also gave them the chance to see the faces of those of us who work in the field. I cannot recommend participation in advocacy opportunities enough. 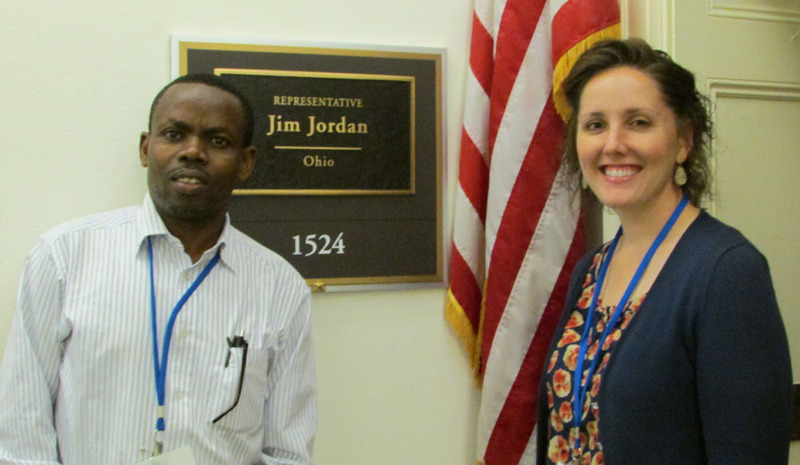 Heather Hall with Calvin Mugabo of Rwanda at the office of Representative Jim Jordan of Ohio. On Advocacy Day I had the privilege of going to Capitol Hill to advocate for issues of Christian interest regarding global health. I was honored to go with my colleagues from Rwanda and the Democratic Republic of the Congo along with two other American CCIH members. We visited offices of congressmen from states in the Midwest—three of which were from my home state of Ohio. This opportunity made me realize how accessible my representatives are to me and that I have a responsibility to use that access for the Kingdom. One may ask, “Why it is important to do this?” or “Does it really make any difference?” While there are many answers to these questions, I believe we should advocate simply because it is what Jesus does. In 1 John 2:1, the apostle John reminds us that we have an advocate, Jesus, who pleads our case to the Father. This was the verse I thought of when I was walking up the steps of Capitol Hill and it made me realize that I was a part of something holy. It is a holy thing to speak for the vulnerable and strive to advance the Kingdom, and I was thankful to be a part of it. These are the insights that made Advocacy Day memorable for me, and these are the insights that will motivate me to do it again. David Omorebokhae leading worship at the CCIH conference. Healthy mothers and children are the foundation for strong families and communities. Yet, in some parts of the world, a mother is more likely to die in childbirth than she is to finish secondary school. Each year, 6.6 million children under five lose their lives, most of them to preventable causes. Faith-based organizations are taking a leadership role and working across the globe to prevent the deaths of mothers and children. 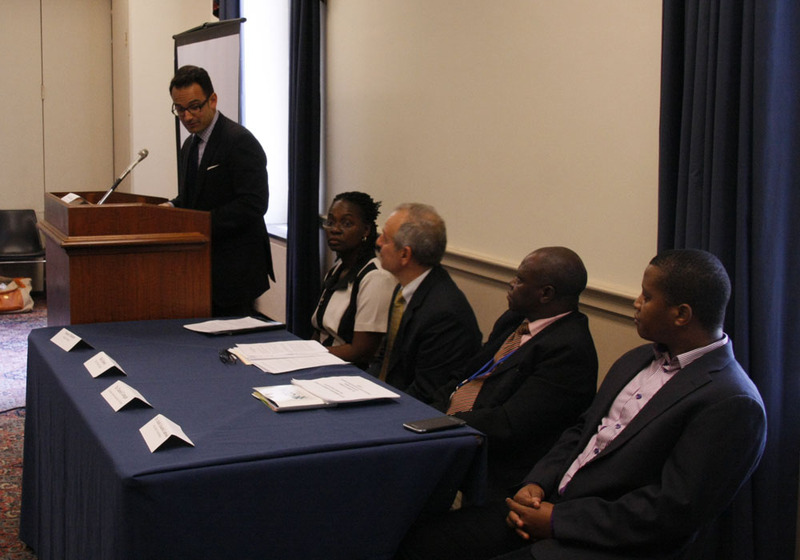 To share this message with U.S. legislators, CCIH held a lunch briefing on Capitol Hill in conjunction with its annual Advocacy Day on June 23, 2014. The briefing was held in coordination with the offices of Congressman Dave Reichert and Congresswoman Betty McCollum, Co-Chairs of the Congressional Global Health Caucus. It was co-sponsored by Healthy Families Healthy Planet, IMA World Health, World Relief and World Vision. The briefing was well received, with more than 80 attendees, including 30 Congressional staffers. Panelists included Susan Otchere, MSc, RN, Project Director, Mobilizing for Maternal and Neonatal Health through Birth Spacing and Advocacy (MOMENT) (at left); Rick Santos, President and CEO, IMA World Health (second to the left); Dr. Daniel Gobgab, Secretary General of the Christian Health Association of Nigeria (second from the right); and Dr. Adolfo Eduardo Cambule, Field Program Manager, World Relief Mozambique (far right). It was moderated by Eduardo Vargas, Deputy Director, Office of Faith-Based and Community Initiatives, USAID (Shown at the podium). Susan Otchere presented World Vision’s experience promoting the message that healthy timing and spacing of pregnancies (HTSP) saves lives. According to Ms. Otchere, this message resonates well with communities as every mother and family wants a healthy child. She shared examples of how World Vision has focused on religious leaders in Senegal and shared messages with imams on HTSP, which they have incorporated into Friday prayers. World Vision has trained Catholic nuns on the Standard Days Method, a natural family planning method, to respond to the preference among Catholics for natural methods. In India, World Vision has engaged male volunteers from the community to reach imams with HTSP messages. Rick Santos of IMA World Health described the large impact of faith-based organizations on health care in the Democratic Republic of Congo (DRC). 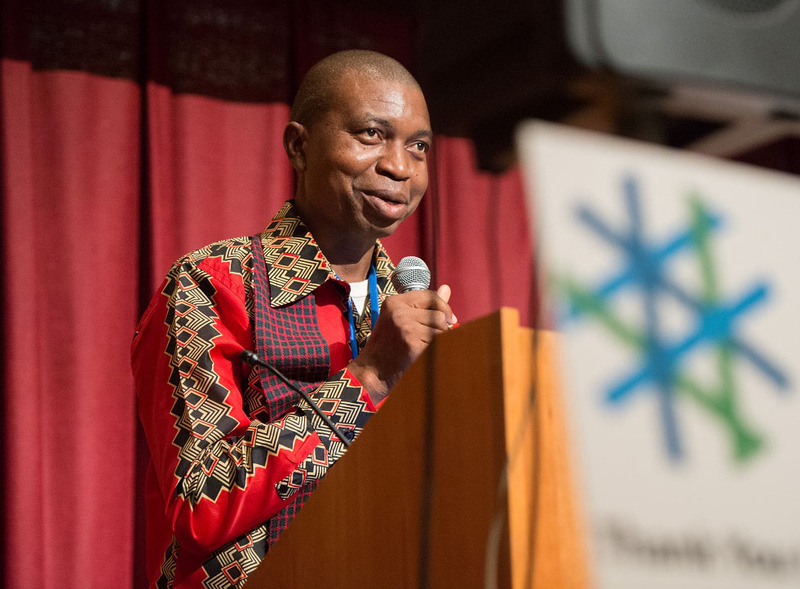 IMA is involved in health systems strengthening in the DRC and was the leader of Project AXxes, a large USAID-funded health systems development program targeting 8 million people in post-conflict areas. The main objective was to improve health care in 57 rural health zones that have suffered from years of civil war and neglect. The partners in the program included the Protestant Church of Congo (Eglise du Christ au Congo, or ECC), World Vision and Catholic Relief Services. Dr. Daniel Gobgab, Secretary General of the Christian Health Association of Nigeria, discussed CHAN’s mission to provide efficient health services by building the capacity of its member facilities. CHAN members provide 40 percent of all health care in Nigeria and span the spectrum of health care facilities and clinics to medical training facilities. FBOs are often the only accessible care in rural areas. Dr. Gobgab described CHAN’s work to respond to HIV/AIDS in Nigeria, including programs sponsored by PEPFAR to prevent mother-to-child transmission of HIV. Dr. Cambule of World Relief Mozambique described the challenges faced in that country, where 320 children die every day from preventable disease. To address these challenges, World Relief developed the Care Group Approach and implemented it as part of the Vurhonga child survival project in Mozambique. A care group is a group of 10 to 15 volunteer, community-based health educators who regularly meet with project staff for training, supervision and support. Care group volunteers provide peer support, develop a strong commitment to health activities, and find creative solutions to challenges by working together as a group. Dr. Cambule presented the successful project results, including a 49 percent reduction in infant mortality and a 42 percent reduction in under-five mortality.